I want to share two anecdotes and discuss what I see as a fundamental principle that I think each demonstrates about learning in families. I took three of my grandchildren to the zoo a couple of weeks ago (with my daughter Nicole) and on the way in I overheard a comment from a little boy (about 5) that got me thinking. We had to walk along a path past a hole in the ground where they are building a new car park. The little boy asked his Dad about three times "I wonder what they're doing in there Dad?" The tone was, as you'd expect from a five-year-old out for the day with Mum and Dad, all excitement and anticipation. It was Dad that he asked, three times. Not Mum, but Dad. Dad was talking to Mum and didn't hear him, or maybe he was too deep in conversation with Mum for him to notice. I was tempted to say, "they're building a car park", but I kept quiet. This seemed to me like a missed opportunity for learning and maybe for increasing the strength of the bond between father and son. This could have been the last of 25 questions he'd asked his Dad since parking the car, and maybe the only one he hadn't answered; who knows. 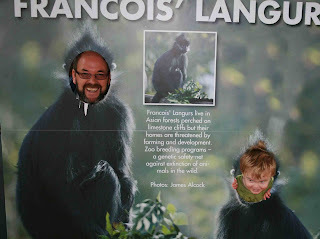 The context of course was that I was going into the zoo full of my own sense of anticipation of a day with my daughter and her three children (and my grandchildren), Jacob (5), Rebecca (3) and Elsie (1). I thought about the many opportunities that they'd have this day to learn; the fun we'd have together. Learning in families so often happens in the cracks of the day, in the small moments as we do things together. Above: Samuel (age 2) and me on another trip to the zoo. A second event that occurred on the same day as the above resonated well with the zoo event and in the process reminded me of a childhood memory that also demonstrated the same point of this post. After coming home from the zoo, Jacob was looking at his cutlery while he ate (the knife, fork and spoon each have a single digit number, "1", "2" or "3" on them). On a previous visit to our house he'd surprised us by saying (out of the blue) in the middle of a meal, "The biggest number I can make with these numbers is 321". But this time (several weeks later) he piped up, "The smallest number I can make is 123". We chatted some more about numbers, "What's the biggest number starting with two that you make?" etc. This triggered a memory of my childhood that I shared with my daughter, Jacob and everyone else at the table. "When I was about your age Jake, my Dad taught me to read using a metal plate. Well he taught me the alphabet anyway". I explained how my Dad would use an enamel plate with the letters of the alphabet around it to melt cheese (for toast) on the top hotplate of our kitchen fuel stove. As he scraped the cheese off (I can still hear him saying "This is the best part son, the crispy bit") he would check my knowledge of the alphabet. Over a number of such events he sharpened my knowledge of letters. I still remember it vividly over 50 years later. What's common here and what's the point I'm trying to make? Each of the teaching/learning moments is different in terms of who initiates the conversation, how it is structured, the content, where it is set and so on. But all are similar in one special way; each opportunity is unplanned and each occurs as a child and an adult (in some cases more than one adult) do everyday things together. Where do these teaching/learning moments occur? We need to spend time with our children for this to happen. In a previous post (It's all about time: How busy lives affect families) I addressed the impact that busy lives have on families; we lose a great deal when we spend less time with our children, or when we're simply so busy that any time with time is basic maintenance. One last point. I'm NOT saying that all of life should be filled with planned teachable moments (but of course they have their place), sometimes (to quote my wife Carmen) "It's important just to be with children, to spend time with them with no agendas". And of course, as the above examples demonstrate, these times together can throw up the unexpected. "Just in case you are checking back this far Trevor, I never know HOW to play with my four year old son. He gets out his aeroplanes and says 'play with me', and then I zoom a plane through the air and that's it for me - I can't work out what to do next. I feel bad admitting it, but I'm just not sure that I'm very good at it!" Readers of this blog know that I'm a tragic grandfather (and I was a similarly tragic and involved Dad - and still am!). I spend a lot of time on the floor playing with my grandchildren and the boys (Jacob 5 and Samuel 2), in particular, love to play creative games with cars, planes and animals. 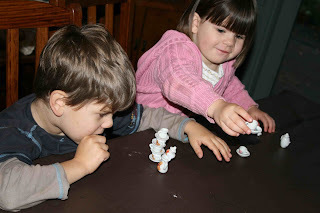 My granddaughters also like to play with animals, dolls, little people (especially my grand daughter Rebecca who is 3), but the play is always different from that of the boys. I'll blog on this in more detail later. Start moving a plane, or car making noises as you do it and interacting with your child's vehicle (whatever it is). Drive towards him, bip the horn, speak. Tell stories no matter how lame - "Oh no, here comes your car, bip, bip, move over. Hi my name is Billy, what's your's?" "Would you like to come for a drive with me?" "Watch out for that bump..CRASH..oh no, now I'll have to go to the garage (you say as driving your car under the lounge." "Oh let's make a garage" (you rush off for a plastic container or a shoe box). Over time perhaps give all the cars names that are easy to remember (he'll revisit these names with you and also when he's alone) - I use tricks to help me remember any I name (e.g. the blue one becomes "Billy", the green one "Greg", the red one "Rachel" etc). Draw on story characters and existing stories in association with your creative play - Thomas the Tank engine trains are ideal for this. You can retell known stories or make up new stories consistent with the characters or their language. The kids will love using the language they've heard from books or television stories - "You pouty puffer", "Oh cinders and ashes", "Bust my buffers", "I'm an EXPRESS engine not a common tank engine" etc. 2. Plastic animals have limitless possibilities - for the young (under 12 months) you can interact by making noises, you can give the animals language, they can attack (our snakes are always doing that! ), hide, ambush, run away scared etc. 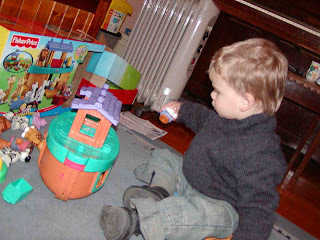 Animals can also interact with plastic people (Little People from Fisher Price are ideal for this). Jacob always loves his dinosaurs (he now knows the names of just about every known dinosaur and can pronounce them - which I can't) and his sea creatures. At times the animals and the vehicles interact with varied consequences. 3. I find that the reading of stories or watching television together always stimulates new scenarios for the animals, cars, planes and people. 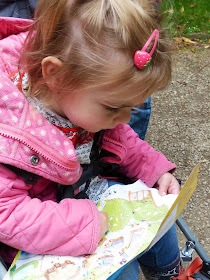 After watching a video or TV program or just reading a book, we might go outside with the cars, using the trees, the paths and so on as part of a much larger story setting. One thing Jacob loved when he was about two was when I set up a ramp (with a piece of wood) and we just ran the cars down one by one, with relevant commentary – ‘Oh no, Billy has crashed off the bridge…” etc. Sam loves this as well and I'm pretty sure Elsie would too (must test this). for girls the interaction between the people seems more important so the stories you make up with them can focus more on the dialogue between the various dolls or people. a) Children enjoy playing with adults no matter how good you are at dialogue or how inventive you are – just give it a go. 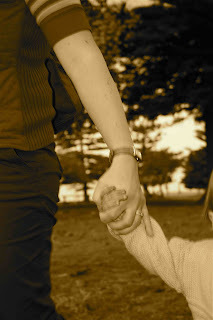 b) Spending time with you is what is important for children – be prepared to ‘waste’ time with them. c) Children learn a great deal from such interactive and creative play – language, narrative structure, how to cooperate, knowledge etc. d) Be careful not to try to turn these opportunities into adult led lessons – have fun with your children and remember that play is a time where children can have more control of agendas, setting the story lines, assigning characters etc. Avoid the temptation to take over; be prepared to follow them, support them and build on their learning during these precious times. They will let you know when you're out os step with their play making - "Don't be silly Grandad", "Teddy doesn't talk!" "A snake couldn't so that Grandad!" "Follow me..." "Let's make a shed". While a mother with 2, 3 or 4 children miught not have as much time as a grandfather to play with children, I'd encourage you to find ways to do it. Try to make the time and enjoy playing with tme. The benefits will be enormous for language, learning and your relationship with them. Comics, are they still relevant? Many people over the age of 50 grew up reading comics in their spare time. Comics had their genesis in the satirical works of artists like Rudolph Töpffer, Wilhelm Bush, Christophe, or the Brazilian Angelo Agostini in the 19th century. In 1827, Töpffer created a comic strip and later seven graphic novels. In 1837 Töpffer created "The Adventures of Obadiah Oldbuck" which is considered to be the earliest known comic book. But it wasn’t until 1895 that Richard Outcault created "Yellow Kid" that is generally cited as the first comic strip. This was the first work to use the balloon to carry the spoken words of the characters. You can read a fuller account of the history of the comic here. As a child I grew up reading comics regularly. The newspapers had regular comic strips that were eagerly read each day and most children had access to comics that were part of their recreational reading. Comics like Superman, Tarzan, Richey Rich, The Phantom, and Disney classics like Donald Duck and Mickey Mouse were common. They were generally seen as ‘low art’ and were frowned upon by teachers and librarians. When television came in the 1950s in Australia and earlier in the USA and the UK the comic book declined in popularity. There were also other early formats such as the larger comic album that was more common in continental Europe, especially Belgium and France, with the most famous being the Tintin series first published in 1929 and still read up till today. Another format is the graphic novel that can either be a serialised novel with illustrations or simplified version of a novel with pictures (either illistrations or in comic form). 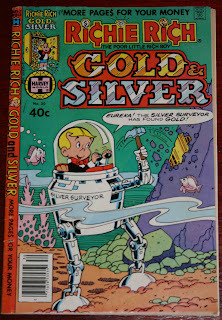 Today comics are still the passion of many Baby Boomer collectors and they still have a place in the recreational reading habits of small numbers of people in most cultures, with the possible exception of Japan, where the manga or comic is huge and is popular with adults and children alike (see a brief review here). The comic has always had two places in art and literature. The main purpose of the genre that most would call comics, has been to amuse and entertain, but there has always been a more serious side to the comic or cartoon, with significant satirical, political and ideological purposes. 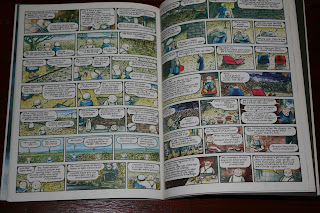 Even writers of children’s books have experimented regularly with the comic format. 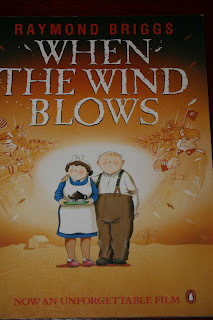 Notable in recent times have been works like Raymond Briggs "When the Wind Blows" (1986) that tells of the impact of an atomic blast on an elderly British couple who approach the impending disaster as if they were simply trying to survive the Blitz of WWII. It seems that in recent times the comic has been making a comeback. A recent newspaper report by Sue Corbett suggests that the ‘graphic novel’ as one variation of the comic, is growing in popularity again and appearing in new forms. "The themes and genres can range from science to biography, and from memoirs to yes, superheroes.....Every subject is available in the format." There are now graphic-novel editions of the works of Shakespeare, and many classics such as The Red Badge of Courage, Beowulf, Greek myths, The Adventures of Robin Hood, even The Canterbury Tales. "They don't even realize they're reading a book. They just whiz through them......It hooks my really strong readers and my struggling readers.....They're just wild about them." Graphic novels are not new. The Boys Own and Girls Own annuals that were around as early as the 1870s incorporated extracts of novels with graphic support, and later versions (1930s to 1960s) incorporated even more of this genre and even cartoons. Illustrated Bibles and classic illustrated stories have also been around for many years. 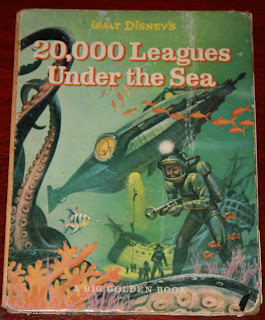 The first book I can remember reading as a child was an illustrated version of Jules Verne's "Twenty Thousand Leagues Under the Sea" that I read when I was about 7 years old. This was published in 1954. John Shableski of Diamond Book Distributors says sales of graphic novels have climbed from $43 million in 2001 to $330 million in 2006. Much of this is fuelled by schools and libraries simply trying to get children reading at a time when reading for pleasure is being threatened by computers, gaming, cable TV etc. 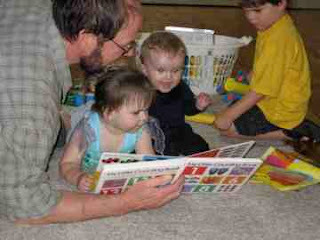 Teachers have found that they are able to hold children's attention longer with graphic material. Is this a good thing? Yes, I think it is. If we put to one side what can happen to great novels when they are simplified or serialized badly, there is merit in this approach to reading. And while I would not want children to grow up on a restricted diet of comic books or graphic novels of lower literary merit, there is a place for this material if it gets children reading earlier and for longer. Boys in particular respond well to graphic novels and comics so I would encourage parents and teachers to consider them as one way to get children reading more. Of course once you do have children reading for pleasure the aim should be to encourage them to branch out to read other genres and more varied and demanding material. You can read the Sue Corbett article in full here. The electronic book: The death of the book? We have been talking about electronic books for many years, but up to this point in time the many models released have promised much and returned little. However, Edward Wyatt in the New York Times recently asked whether we might have reached the ‘tipping point’ with the electronic book. At the annual BookExpo America in Los Angeles two weeks ago Jeffrey P. Bezos, the founder and CEO of Amazon, “…spent much of a packed session on Friday evangelizing about the Kindle, which he said already accounts for 6 percent of his company’s unit sales of books that are available in both paper and electronic formats.” But Wyatt also indicated that some in the publishing industry are worried about the growing power of Amazon and a concern that if the Kindle is the device that makes the big digital book breakthrough, and it is in the hands of the online book giant, then there might be a threat to traditional book sales and some publishers. The Kindle is an electronic book (or e-book) launched in the USA in November 2007 by Amazon. 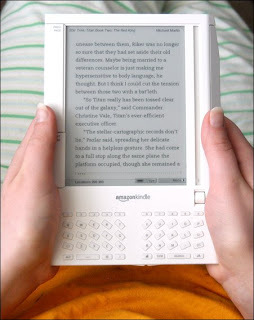 It uses an electronic 'paper' display, and reads the proprietary Kindle (AZW) format. The Kindle can be used stand alone without a computer. Amazon's first offering of the Kindle sold out in five and a half hours. You can buy the Kindle from Amazon for $US359 and purchase 120,000 books to read on it that sell for $US9.99 each. The chief competitor to the Kindle is the Sony Reader that has been around a little longer (released in 2006). Many technology critics have favoured the Kindle, because it downloads books, daily newspapers and magazines with wireless technology, whereas the Sony Reader downloads content via a wired connection. While electronic book sales are growing exponentially, the numbers are still small, although there have been spectacular successes like Stephen King’s electronic-only novel “Riding the Bullet” that sold 600,000 copies in two days way back in 2000. There have also been other signs like mobile phone novels (see my previous post here) that indicate that some consumers find the electronic novel option attractive. But will the book disappear? It is of course the book! This piece of technology changed the world and continues to enrich and change lives and is the perfect tool for sharing the written word. What would be lost if we did not have the book? all people to have equitable access. The last point is an important justice issue. While people talk of no technology divide between the rich and the poor, this is a myth. There is and will be a technology divide between rich and poor. While one could argue that this is the same with books, I would contest that it exists to the same extent. Books are so readily available, so easily borrowed. In an earlier post I pointed out that the book is the ultimate 'green' resource and linked to an excellent article by my USA colleague Dr Allen Berger on the role that libraries play. Books have been carefully protected as precious objects for centuries because of the words and images that they contain. While there is a place for electronic books for storage, reading and sharing, it is unlikely that they can ever fully replace the book. The impact of the book is probably unparalleled as a piece of technology in human history; certainly in terms of human learning and communication. Long may its influence continue! You can read the full article by Andrew Wyatt here. "I live in Australia with my wife, Carolyn, a printmaker who makes landscapes out of lino and wood. We have two grown-up children, Naomi, a musician and refugee worker living in London, and Peter, an artist in Melbourne making big, beautiful, ethereal paintings in oil. We have two grandchildren, Oliver and his older sister Rosie - and to them I am "Bob" rather than "Grandad" (somehow that name has the feeling of pipes, carpet slippers and rocking chairs; and I'm not quite ready for that). I read them books (mostly other people's and, very occasionally, my own), and we just blob around and go to the park, and things like that. Dare I say it? Like a grandad and grandchildren are supposed to do ." He was working as a designer in the 1980s with the Department of Technical and Further Education when he wrote his first picture book. After a late start, Bob Graham has made up for it. He has been a prolific writer and illustrator. He was once responsible for a monthly comic strip for a French magazine and has illustrated professionally outside the field of children's literature. But his passion has been writing for children. He has written and illustrated 33 books and illustrated 5 books written by other authors. His books have won many awards. First There Was Frances was shortlisted for the 1986 Children's Book Council of Australia (CBCA) Picture Book of the Year Award. 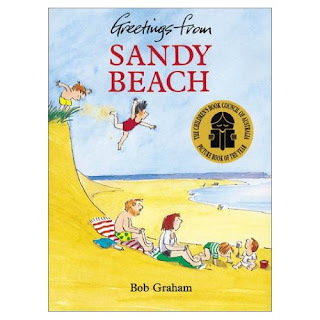 He has also had success in the same awards with Crusher Is Coming (Picture Book of the Year in 1988), Grandad's Magic (Honour Book in 1990), Greetings from Sandy Beach (which won in 1991), Rose Meets Mr Wintergarten (Picture Book of the Year Award in 1993) as well as joint winner in the 1993 Children's Peace Literature Award. The same book was also highly commended in the Children's Literature category of the 1992 Human Rights Awards. His book Max won a children's choice award in 2001. The thing that distinguishes his work is the simplicity of his line and colour drawings, the humorous story lines, his delightful characters and the fact that his characters face the same issues that 'real' children do each day. My introduction to Bob Graham's work was through Crusher is Coming (1987). This beautiful book tells the story of a boy of about 10 years who invites the biggest and toughest kid in his class home. He prepares his room in the morning by giving his soft toys to his little toddler sister (aged about 18 months), warns his mum not to kiss him when he comes home because "Crusher is coming", tells his mum to keep Claire out of his room and so on. You might be able to predict the ending; Claire captivates big tough crusher and he ends up playing with her all afternoon. While some of his attempts to write simply about significant issues don't always work as well as this wonderful book, all manage to capture young readers' interest. A more recent book that children love is Max (2000). 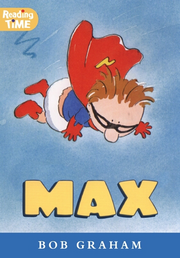 Bob Graham explores the "super-kid" theme with Max the youngest member of a famous superhero family. He has the cape and all the other things super heroes have but his powers fail causing him lots of problems at school. "Benny: An Adventure Story", Candlewick, 1999 Published in the UK as "Buffy: An Adventure story"
I have already written on this blog about helping children to choose books [here] and I have some practical help on my website [here], but I receive many requests for help in this area. In this post I want to comment on the value of children’s choice awards. There are a number of awards that have been established to involve children in choosing a list of popular books. Given that we want children to make good choices about their own reading it makes sense to create awards judged by them rather than just adults. You might suspect that the books that win will always be popular books (e.g. series) rather than what adults would judge to be quality literature. But you might be surprised to find that children can choose good books too. Yes, there will be an over-representation of some literary types and well known authors, but children can pick good books. What are the benefits of awards like this? 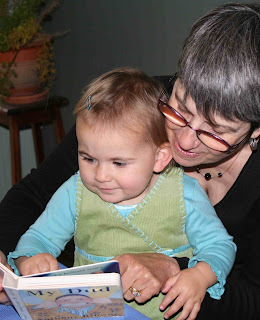 Besides the obvious benefit to the publishers and authors, they allow children to participate in sharing their favourite books with other children. Getting children involved in children's choice awards is an activity that parents and teachers can do with them. This will lead to lots of useful discussion about how to choose the best books, what makes a good book or author? This will be helpful in guiding children to make even better choices. 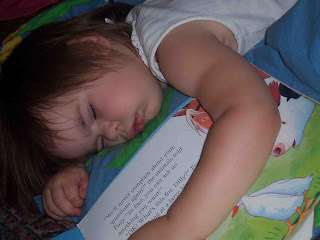 As well, the various lists might point your children to books that other children have liked and open up new authors and literary forms that they might not have encountered. In some cases, the various sites that report the awards also contain useful reviews; this is an added bonus. These annual awards are selected by young readers in NSW. They seek to identify the Australian books children have enjoyed most during the year. Students are invited to nominate their favourite Australian book. A shortlist of 40 titles is selected from the nominations. Students then vote for their favourite shortlisted title. Winners are announced in the four categories Picture Book, Younger Readers, Older Readers and Fiction for years 7-9 at a special Awards Day. 2. YABBA - Young Australians Best Book Awards. These awards are effectively a Victorian version of KOALA. 4. BILBY - Books I Love Best Yearly. These are Queensland's version linked to the State Children's Book Council. If you'd like an International version there is the International Reading Association's Children's Choice Awards. This has a strong North American bias but it offers an international flavour. 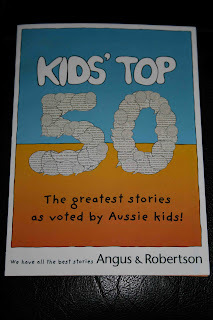 The Kids Top 50 Awards - As well as awards run by school systems, children's literature associations and literacy bodies, there are a few specialist children’s choice lists run by publishers or book stores. For example, in Australia the bookshop Angus & Robertson asked 5 to 17 year old readers to pick their favourite books - 60,000 voted! While as you’d expect popular writers like J.K. Rowling and Roald Dahl took out 1st and 2nd and popular series like Specky Magee, Rainbow Magic and The Just Series were in the top ten, children chose varied authors and genres. There were plenty of selections that would keep librarians happy like The Chronicles of Narnia (19th), E.B. White’s ‘Charlotte’s Web’ (29th), Katherine Patterson’s ‘Bridge to Terabithia’ (39th), Anna Sewell’s ‘Black Beauty’ (49th). While I wouldn't want children to choose books based simply upon the recommendations of other children, awards of this kind have their place in helping children to learn how to make appropriate book choices.